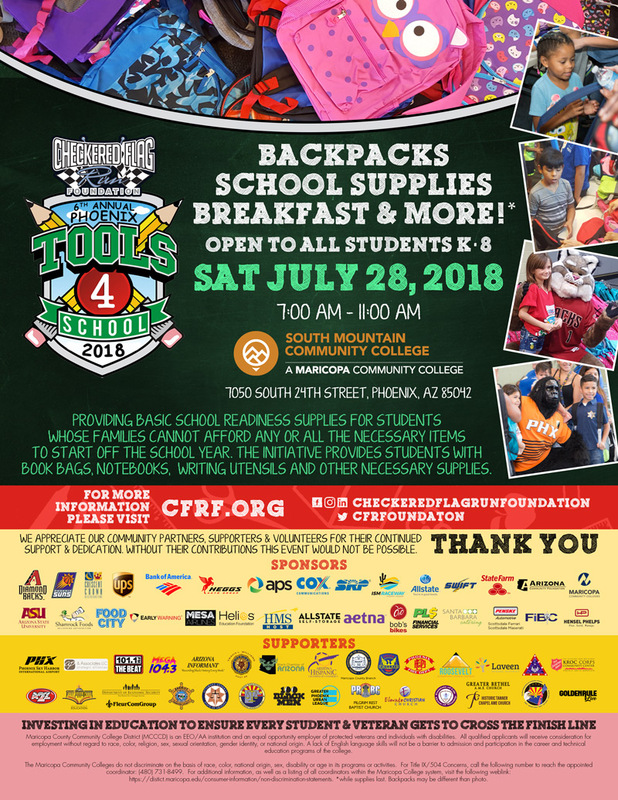 The Phoenix Tools 4 School ,voted Best Annual Charity Event, provides basic school readiness supplies for students whose families cannot afford any or all the necessary items to start off the school year. 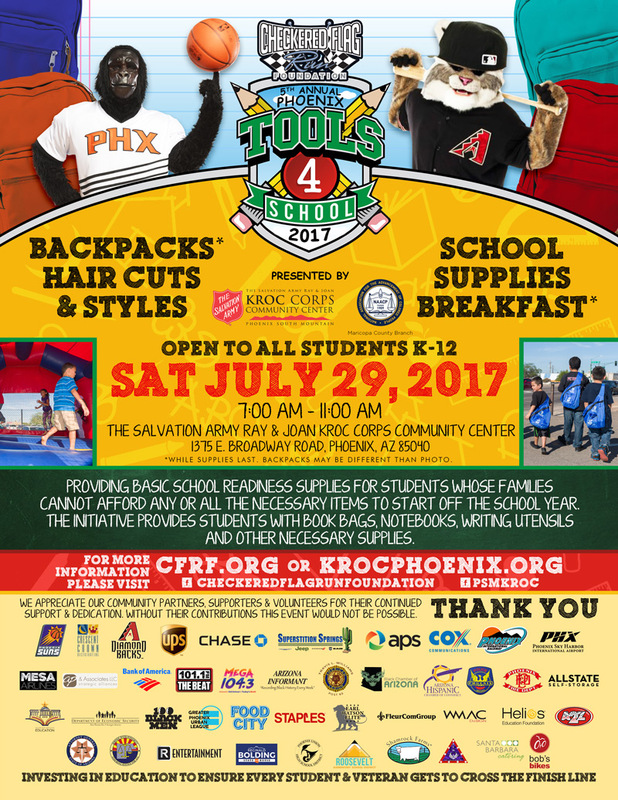 The initiative provides students with book bags, notebooks, writing utensils and other necessary supplies. 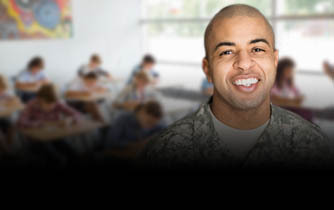 For students that are in 7th & 8th grade we offer college prep workshops hosted by Maricopa Community Colleges and Arizona State University. 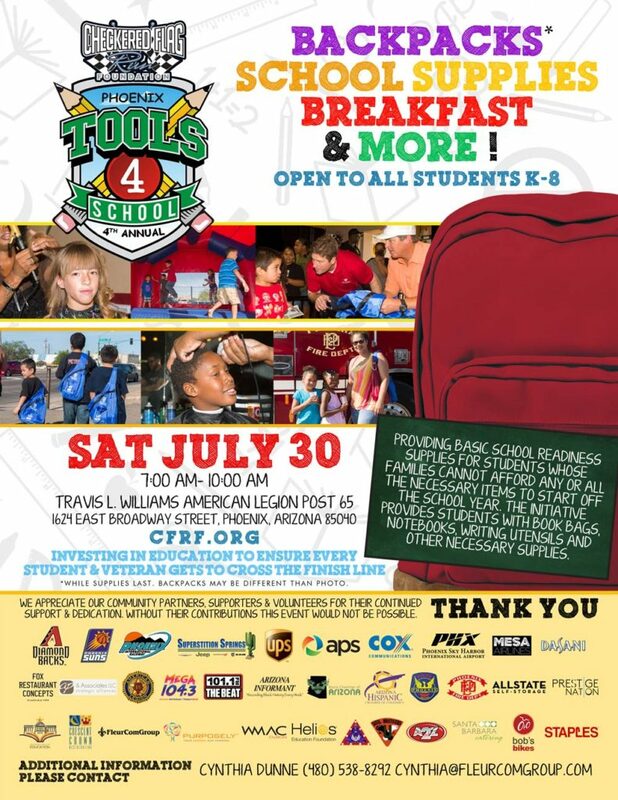 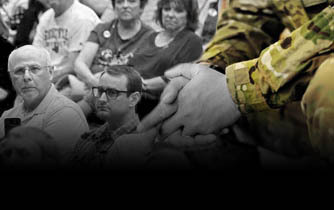 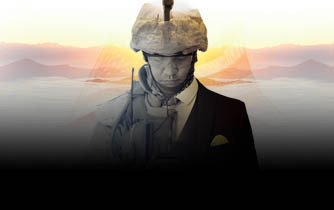 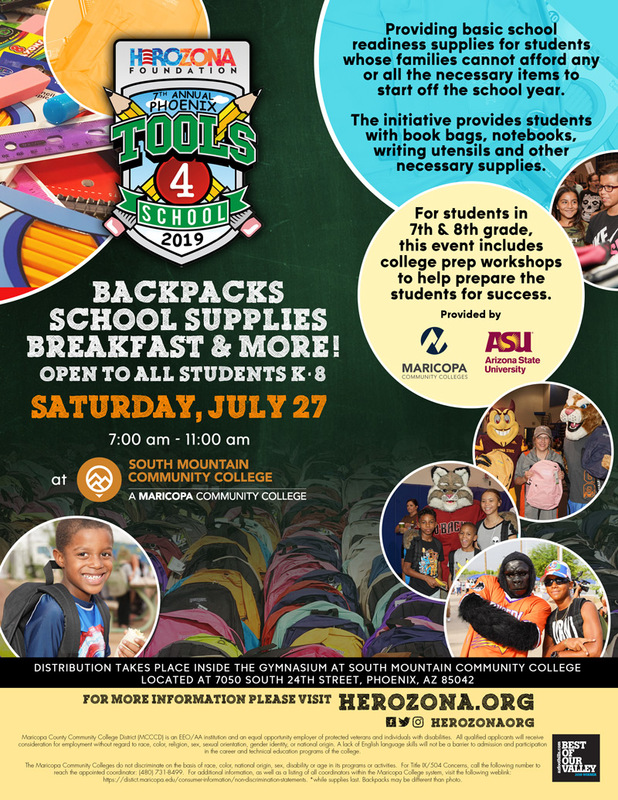 The 7th Annual Phoenix Tools 4 School will take place Saturday, July 27, 2019 at South Mountain Community College.